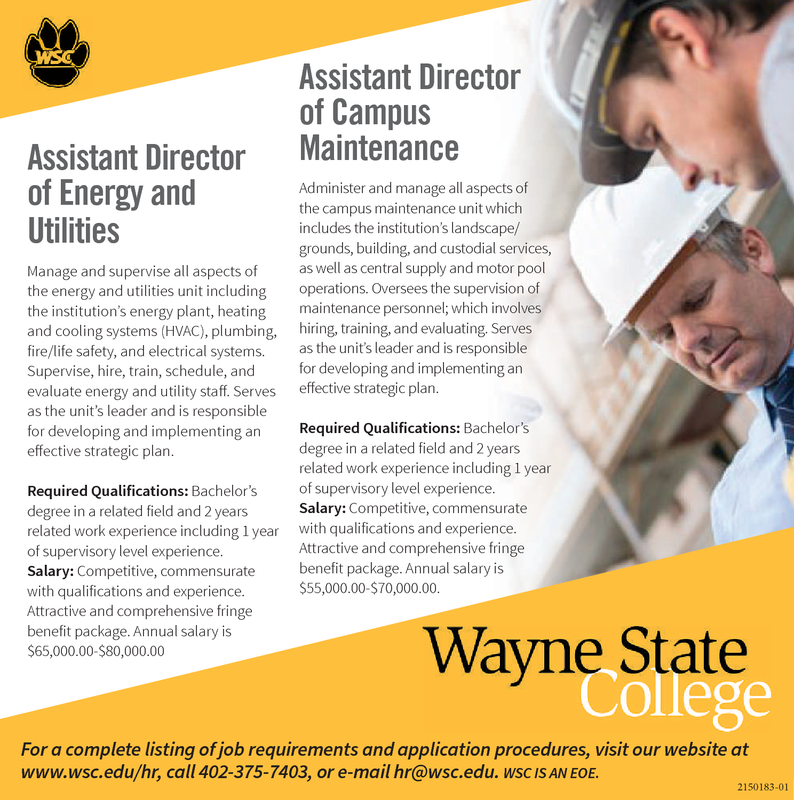 Manage and supervise all aspects of the energy and utilities unit including the institution’s energy plant, heating and cooling systems (HVAC), plumbing, fire/life safety, and electrical systems. Supervise, hire, train, schedule, and evaluate energy and utility staff. Serves as the unit’s leader and is responsible for developing and implementing an effective strategic plan. Administer and manage all aspects of the campus maintenance unit which includes the institution’s landscape/ grounds, building, and custodial services, as well as central supply and motor pool operations. Oversees the supervision of maintenance personnel; which involves hiring, training, and evaluating. Serves as the unit’s leader and is responsible for developing and implementing an effective strategic plan. Required Qualifications: Bachelor’s degree in a related field and 2 years related work experience including 1 year of supervisory level experience. Salary: Competitive, commensurate with qualifications and experience. Attractive and comprehensive fringe benefit package. Annual salary is $55,000.00-$70,000.00. For a complete listing of job requirements and application procedures, visit our website at www.wsc.edu/hr, call 402-375-7403, or e-mail hr@wsc.edu. WSC Is An EOE.